Prime Minister Tuilaepa Dr. Sa’ilele Malielegaoi is a man brimming with confidence. 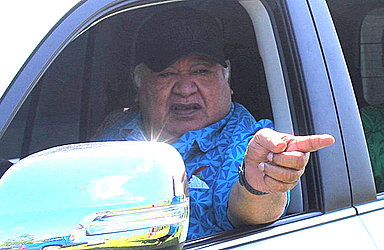 As his critics over the Government’s plan for customary lands grow to include the former Head of State, His Highness Tui Atua Tupua Tamasese Efi, Prime Minister Tuilaepa remains unfazed. He is steadfast that there is nothing for Samoa to be concerned about in as far as the Land Titles Registration Act (L.T.R.A.) 2008 is concerned. Speaking to the Sunday Samoan, Tuilaepa said someone had warned him he was playing with fire when Cabinet considered the L.T.R.A. some time ago. “Someone told me that I was playing with fire,” Tuilaepa said. The Prime Minister said the Government’s critics over L.T.R.A. are all smoke. Asked about concerns expressed by the former Head of State, His Highness Tui Atua in relation to L.T.R.A, Tuilaepa was dismissive. 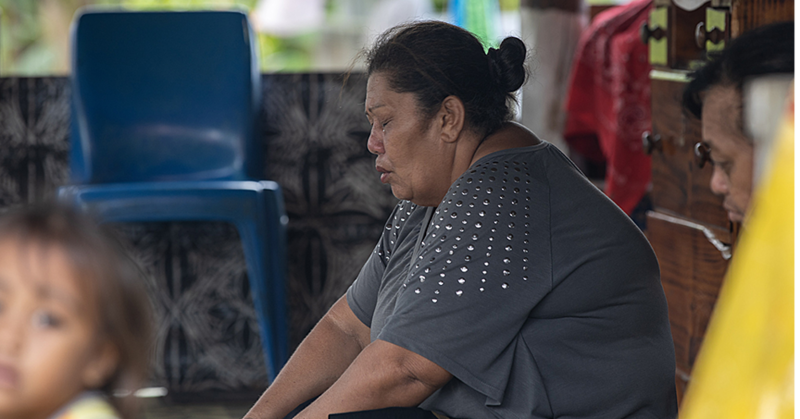 According to Tuilaepa, a Land Committee was selected which was spearheaded by the late Reverend Elder Oka Fauolo to hold consultations with villages about the issue. Tuilaepa added that the late Rev. Faulolo was an intelligent, honest and straightforward person. “He never shied away from speaking his mind to me,” said Tuilaepa. The consultation, he added, lasted for two years before a Commission made their recommendation to Cabinet to go through with L.T.R.A. After the bill was tabled, it was in Parliament for six months, Tuilaepa said. Even the Opposition party at the time endorsed it. This was before the Head of State at the time signed it. Tuilaepa said reports quoting the former Head of State saying he was under pressure are wrong. Tuilaepa said His Highness Tui Atua is more than welcomed to contact him directly if he has any concerns about the L.T.R.A. 2008. The Prime Minister added that the Executive Director of the Samoa Law Reform Commission (S.L.R.C. ), Telei'ai Dr. Lalotoa Mulitalo Seumanutafa, has already addressed the issues raised about the L.T.R.A. He added that Telei'ai works with Attorney General, Lemalu Hermann Retzlaff, who is also a matai Samoa. Under their watch are more than 50 lawyers. “There are 50 brains who are working with the A.G, some lawyers have two degrees,” he said. “They are highly intelligent people working to serve our country." “They have all graduated from scholarships so the government, Cabinet, Associate Ministers and lawmakers are educated people." “We no longer have those people who agree to things yet do not even know what is going on. 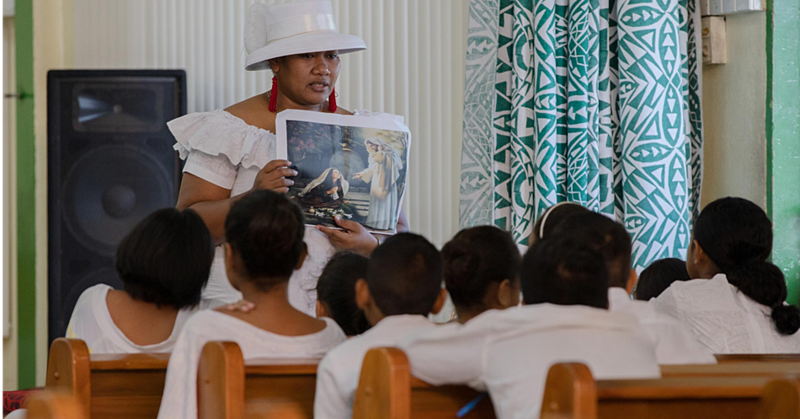 In Samoa today, we have our chiefs drafting our laws and our chiefs passing our laws." “That is the difference between New Zealand and Australia. When you talk about New Zealand’s communal land, you are talking about Maori lands. The question is who is running their Government? It’s not Maoris; rather it’s being dominated by people from here and there." Tuilaepa said the same thing is happening in Australia where the Aborigines who own have no say. The Prime Minister reiterated that the alienation of Samoa’s communal land would never happen. “These critics say the same predicament will occur with our lands,” he said. “These people should go back to New Zealand to have their marches there not here because these issues are occurring overseas, not in Samoa." Tuilaepa said most of the criticisms come from Samoans overseas who know little about Samoa. He said there are people overseas who look like Samoans and they only come here to receive their chiefly titles. “After that, they go back to their home countries and they have never sat in a Village Council meeting. They know nothing about our customs, traditions. They don’t even know the traditional salutations (fa’alupega) of the titles they hold and the villages they come from." Tuilaepa added that most of them can’t speak Samoan and even when they speak English, the grammar is shocking. Tuilaepa reminded that Parliament is made up of high chiefs from all over Samoa. “We too are chiefs of Samoa,” he said. “We will not pass a bill that will jeopardize the security of our communal land we live on." 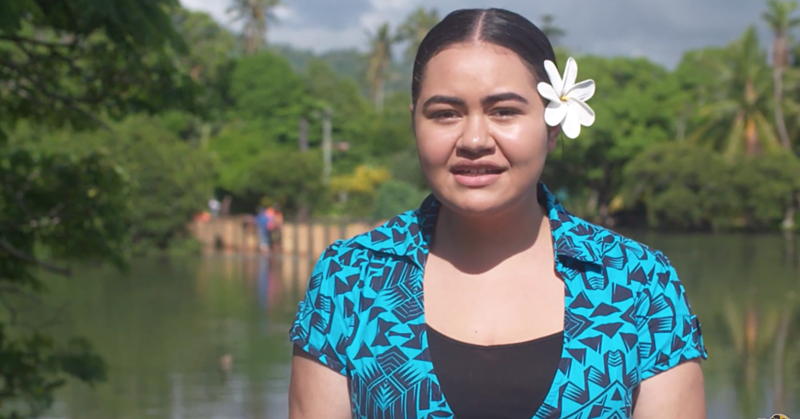 “We are gate keepers of Samoa’s treasures which is our lands and titles."